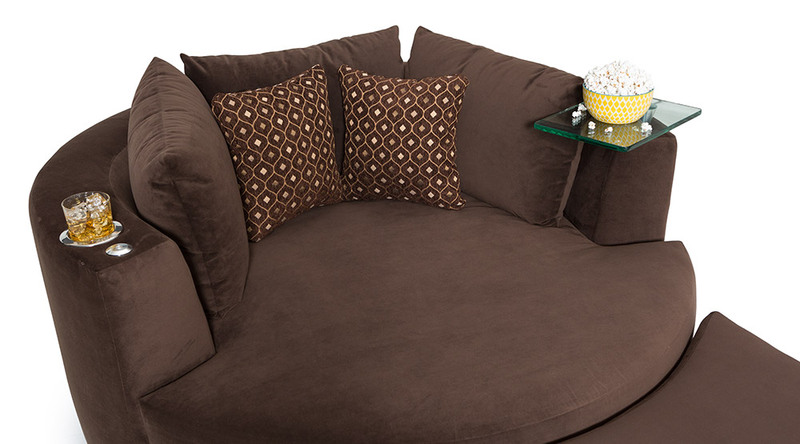 The Seatcraft Swivel Cuddle Couch is the latest offering to home theater seating. This couch indulges you in a cloud-like comfort while providing the perfect space for reading, relaxing, gaming and watching a movie cuddling with the family. 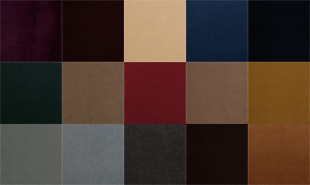 Choice of fabric and bonded leather presents your with a vast array of color options that cater to your style and enhance your home. This cuddle couch was created with comfort in mind, hence we use quality soft durable foam that leisurely still comforts you after years of use. Additional swivel and mobility mechanism grant you the accessibility to move from one spot to another. Each armrest of this cuddle seat is accentuates with two stainless steel cupholders which securely place your beverages within arm’s reach. Complimentary removable swivel glass-top tray table is not only have contemporary sleek design, but also comes in two sets! Additional two free matching decorative pillows exquisitely add to the elegance of this couch. 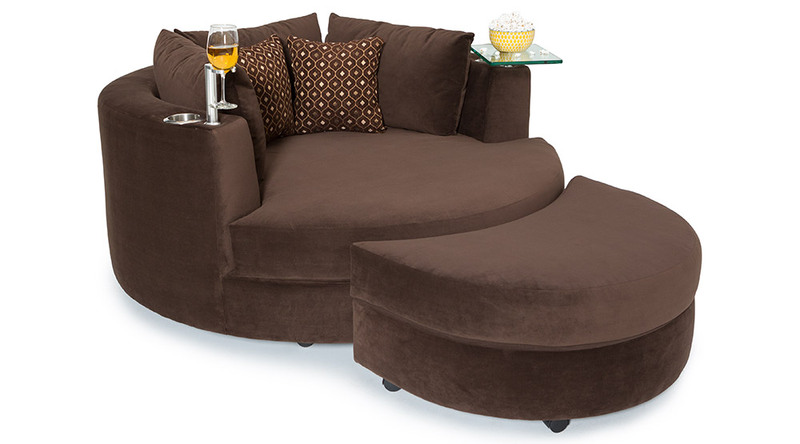 Finally, upgrade your coziness with optional matching ottoman footrest! 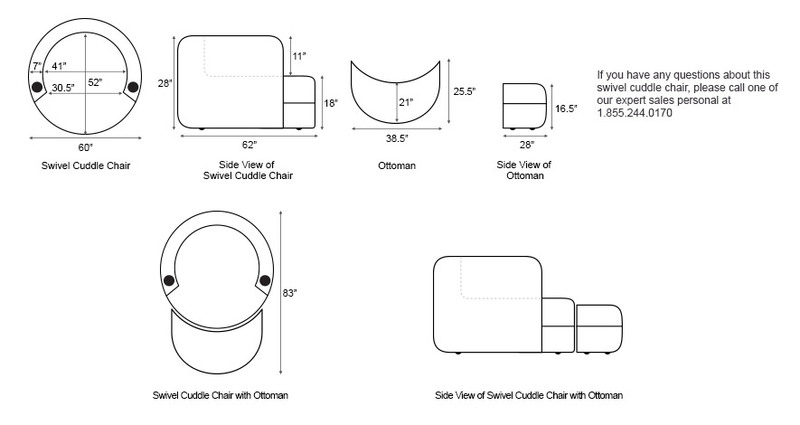 Designed with the same quality and materials, this ottoman is the perfect extension to the Seatcraft Swivel Cuddle Couch. 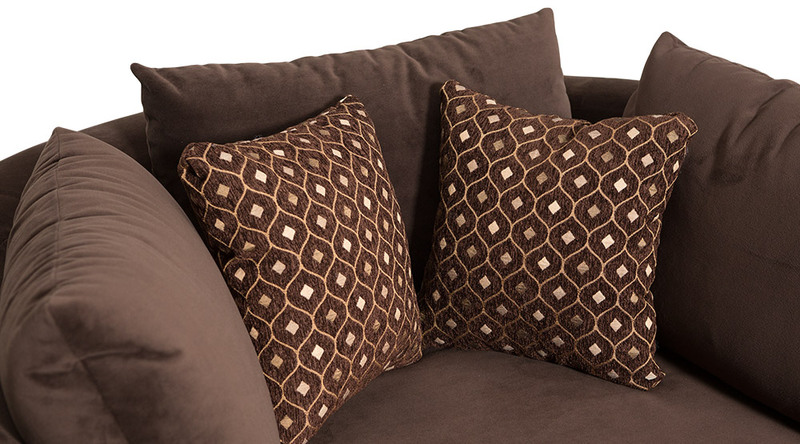 Enjoy two free decorative accent pillows made with the same quality and materials as your seat. 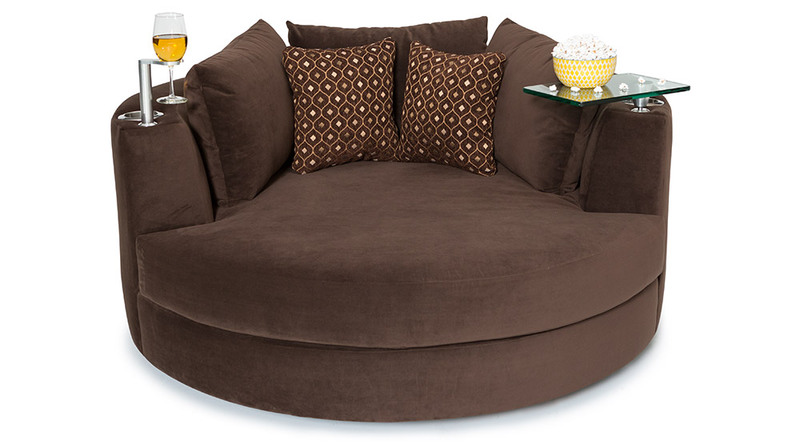 2 complimentary removable swivel tray table are included with each cuddle couch. 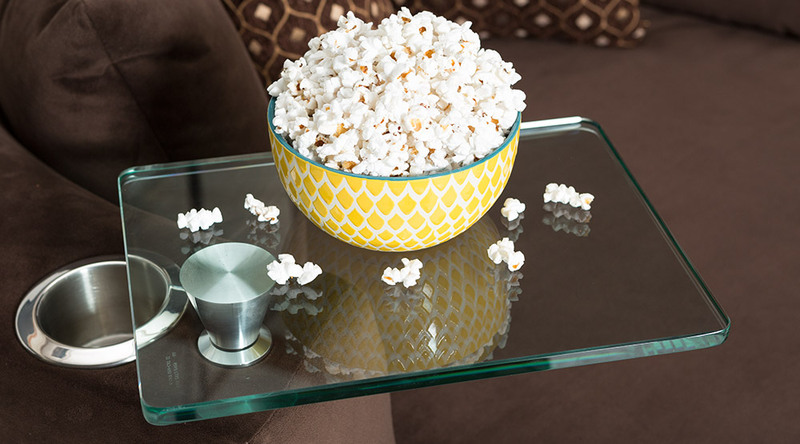 Place your drinks, snacks, and more on these contemporary sleek designed glass table-top. 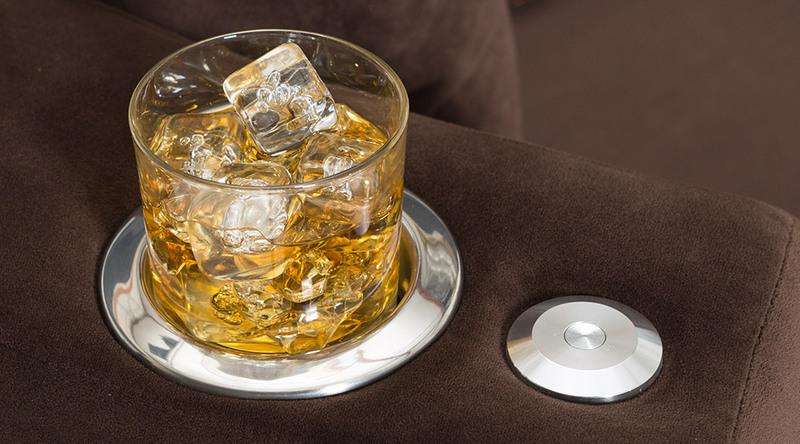 Place your beverages within your arm’s reach in these stainless steel cup holder. 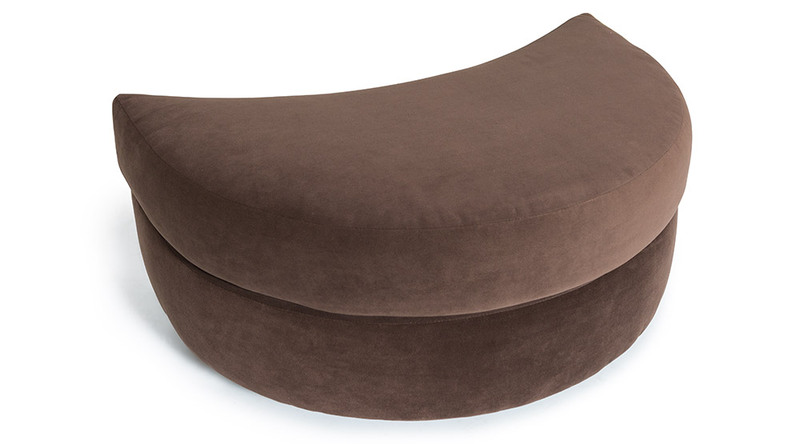 Stretch your feet up with this optional ottoman footrest. 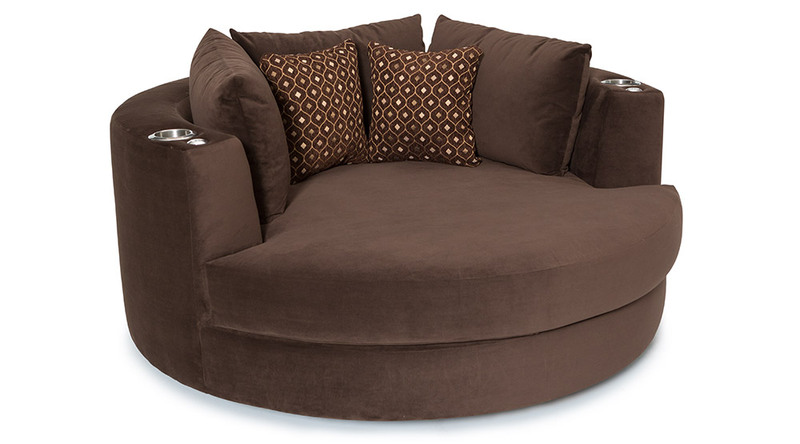 Designed with the same quality and materials, this ottoman is the perfect extension to the Swivel Cuddle Couch. 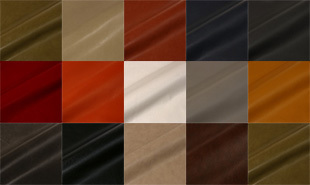 Seatcraft offers a wide range of bonded leather options to choose from. Bonded leather is a convenient and popular means of conferring the look, texture, and feel of top-grain leather, at a fraction of the cost. This material is composed of a polyurethane-leather hybrid that combines the advantages of both elements, into one stylish and durable whole.